Grandfather was right; life is like a rainstorm.It begins suddenly and ends just as quickly. Each drop of rain has a story to share. Do we take the time to see it, taste it and smell it? Each drop of rain holds all our joys and sorrows. When the drop of rain reaches the ground, the joys and sorrows of all mankind are there for us to share, to experience. 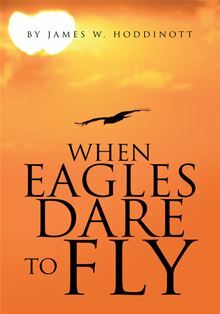 When Eagles Dare to Fly, a dramatic debut novel about family, traditions and social inequality. Winnipegger James Hoddinott has been an educator for over 20 years. His passion for creating inclusive educational environments has guided him throughout his career. For Hoddinott, this novel represents a move from oral storytelling to the written word. I found this book to be real and a true depiction of life in remote communities. Heart gripping at times. I loved the aspect of hope and the idea that we are all learning and evolving from what life deals us. Loved this book. A true depiction of the real challenges faced by the youth of the Canadian north. Disturbing, yet hopeful. I have to get your book!! Is there any place in Wpg I can buy a hard copy (I’m still old school when it comes to reading books) or do I have to go through Amazon? You can order through Amazon, McNally-Robinson or Chapters as well. My new book will be out very soon and I will be doing a launch most likely this spring and have both books available locally on the shelves.